What is the LARP City Project? What will your sites be like? How will you fund this? Why are you the right people to pull this off? The LARP City Project aims to create Live Action Role Playing (LARP) venues that far exceed anything else in the United States. We currently own and operate our first test site in Corona, CA! Learn more about Riverview Recreation Park and register for the many events we are hosting. The magnitude, scope, immersive environment and variety of our LARP Cities provide the ultimate LARP experience for both veterans and new LARPers alike. Our venue allows existing LARP organizations to host their games and tournaments while also providing an expansive gaming infrastructure for new groups and gamers. The goal is not only to create the ultimate LARP environment, but also to create a rich, high-intensity gaming experience that makes more sedentary forms of gaming dull by comparison. As such environments are nearly nonexistent in the United States, we will eventually open and operate 6 dedicated LARP venues in the U.S.
Immersion is the X-Factor that makes gaming enjoyable. Think of your favorite games and how “into” them you got and you understand our LARP model. Our venues are free of modern distractions and feature fully functioning towns to facilitate the ultimate LARP adventure. Functioning buildings, designed to serve multiple purposes and genres. Whether you require a cabin, shop, or home, they can each be decorated to fit your needs. Modern conveniences, such as amenities, showers, laundry facilities, storage, and crafting workshops that LARP organizers have been dreaming to have. The vast countryside, a beautiful canvas for you to paint your world upon. It is the goal of LARP City to unite LARP gamers without jeopardizing or competing with existing games. LARP City does not want to take members from existing games; rather, we want to provide a home for local LARP games while also popularizing LARP to new gamers. 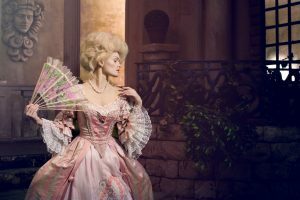 For this purpose, we will run introductory LARPs designed to give new people a taste of what LARP is like and direct them to local games based on their interests. LARP has the power to change lives and make a positive impact, so we see it as our passion to popularize LARP in the United States. LARP City Project is more than just a LARP venue business. It is a revolutionary approach to gaming that, from a humanitarian perspective, improves gamers’ quality of life by encouraging creativity, ingenuity, positive social interaction and physical fitness/health amongst many other things. LARP City sites are of a “five star” quality, built from the ground up to be both immersive and comfortable. Our sites will incorporate modern comforts and amenities like showers and cooking facilities, hidden or disguised to fit the in-game atmosphere. Each site will be unique. We will cooperate with game owners in the local area in order to tailor each site to fit what is needed for the local LARP community. LARP City sites will be of a “five star” quality. What types/genres of LARP will you incorporate? LARP City is a genre-neutral LARP site, designed to be repurposed to include medieval, fantasy, post apocalypse, zombie survival, sci-fi, etc. Currently, we do offer a recreational park that has been used for the Koroneburg Renaissance Festival, Coffin Creek Haunted House, and several local LARPs–including a post-apocalyptic game! We’ve found being able to offer a multi-purpose site has been more beneficial than offering a medieval-only venue. Sites will be a rental venue for groups of any size. Gamers and LARP groups will be able to rent sections of the property depending on their budget and vision. We will be raising just over 10 million USD in order to build our first full Larp City in Southeastern USA. This will cover acquiring the property, constructing the town and countryside, promoting the site and operating expenses until the site starts generating enough income to cover its own expenses. Our first phase relies on introducing new people in Southern California to LARP at Riverview Recreation Park. The purpose of Phase 1 is to demonstrate a serious interest to the hobby as a viable investment to future investors. Thanks to Riverview Recreation Park and its already established reputation as the Koroneburg Renaissance Festival and event site, we have taken advantage of an existing audience and are building our reputation as property and festival owners. This site hosts local LARPs, as well as our own escape room experiences. 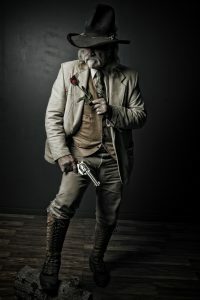 We also intend to eventually start a Sci-Fi western LARP using the site. Phase 1 is extremely vital for the LARP City project. It is also a great method for demonstrating our project’s worth to investors. By maintaining our existing business, we will show potential investors that there is enough interest in this project to earn back their investment. Additionally, immediate profit from our park, festival, and escape rooms can be used toward the purchase of our next property. With all the groundwork laid down in Phase 1, we will begin pitching our idea to investors. LARP City Project has connections with companies and individuals who are experienced in approaching and signing up large investors. Leveraging the experience and networking abilities of these connections, we will contact potential investors who will be interested in investing in our project. These investments will fund the construction of our next fully purchased site, and also fund a 2 year promotional campaign for LARP City and the hobby in general. This will ensure we can generate enough business to be profitable, and it will generate interest in LARP–which will help all LARP games across the U.S.! How will you be able to afford such a large scale operation after it’s open? We have a number of income generating sources planned–beyond site rental–that will allow us to maintain the site and operations and provide the highest quality LARP experience possible at affordable prices. LARP City is a labor of love more than a capitalistic venture. All involved in this project are LARPers who dream of creating live-action role-playing environments that are so engaging that they catapult LARP from the gaming fringes into the realm of gaming relevance. We want the sedentary entertainment consumers to experience a dramatic, immersive experience which they want to share with their friends. LARP City will be easily affordable! For this reason, LARP City will be easily affordable! We’re not Disney World and we never want to be! David is the owner of a successful business, currently bringing in $3 million in annual revenue. He also has experience in planning and execution of business finance plans, marketing plans, operations management, writing and game design. To learn more about all the people working on LARP City, visit our Our Team page. Sounds really awesome, can’t wait. I’ve been dreaming about this for years! If I ever hit the lotto, I’ve wanted to create a year-round, immersive Ren Faire type setting where visitors would leave the modern world behind and vacation on-site with all the NPCs and other visitors. They could offset the cost of their stay by “working” during the day as an apprentice at a vendor’s shop and learn a new skill they’ve always wanted to try. At night, they could spend their hard-earned currency at the taverns! Great idea! I’m excited to see it move forward!! I’m a little skeptical for many reasons. I wonder why not utilize features that are already built rather than build up from the beginning. Here in Texas there are many Ren faire type places that are not used year round. There’s also many in Illinois and Wisconsin. Would be cheaper and easier and could could move the time table up if they rented/used those instead of creating new! Thanks for your question. The point of the LARP City Project is to create venues designed specifically for LARP. That way LARP games all across the US have an affordable place to host their events where they can be in an immersive environment, instead of boyscout camps or parks that have modern distractions. Our main purpose isn’t to start a new game, it is building a place for other people to host their own games. While we will have an ongoing introductory game going when the site isn’t being rented, that game’s primary purpose is to introduce new people to the idea of LARP, to help generate more interest in the subject. If a LARP game wants to rent out Ren-Faire grounds, or a boyscout camp, they can do that already; but those places aren’t designed for LARP games, and so quality is sacrificed to some degree. It’s about time the LARP community had a place designed just for them, and that’s what we intend to build. To reply to Stevie’s comment in more detail: I tried many times in the 1990’s to rent out the Georgia Renaissance Festival’s site for my own local Atlanta Larp, the IFGS. I was told that it would impossible to do because of the logistics of obtaining all of the independent vendors’ permission. I don’t know how other Ren fairs work, but ours is owned by a coalition of merchants. To rent out the site during the fair’s “downtime” would mean gaining every single merchant’s permission- something well beyond our Larp’s financial means. In other words, the notion of having a Larp City devoted to hosting various Larps is more viable than your suggestion, Stevie. I don’t mean to find fault at all- it’s a good suggestion, but one that is, in my personal experience, not as practical as having a Larp City to ourselves. After many decades of LARPing someone is finally creating a US based LARP city! Congrats! Many have attempted this accomplishment – and many have failed. I’d like to get on board with the future movers and shakers of LARPing ASAP! Great! We’d love to have you on the team. Thanks for replying. I appreciate you expanding on why you guys are doing this the way you are. I really hope you can make it all come together! It sounds like it would be quite an experience! What kind of assistance, other than monetary of course, are you looking for? I’d love to hear more about how I might be able to help and participate in something of this magnitude and…well…glory. We do need help with other administrative work, but don’t have any paying positions yet. 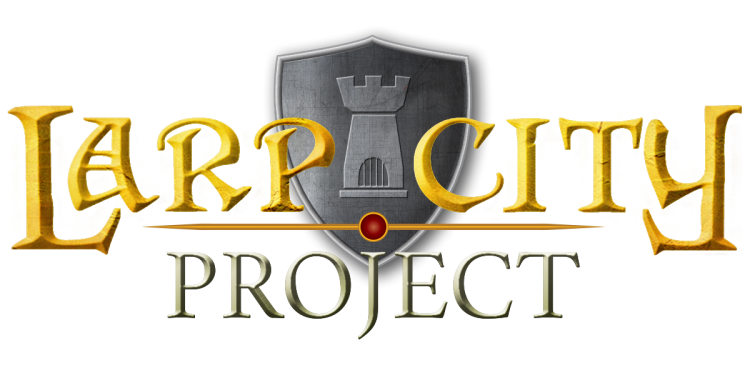 If you are interested in helping out feel free to e-mail me at admin@larpcityproject.com and we can discuss it. Leads on potential investors is also very valuable. We are almost complete with our investor presentation and expect to start approaching investors in February of 2015. After reading some comments I was wondering if hosting rennaisance fairs or other things of the sort could be another funding option once the town was built? I’d also loved to be involved in this project in any way possible. Great work you’re all doing! Hosting renaissance fairs and other events are a great idea and are definitely a part of our revenue plan. We would be happy to have your help, contact me at admin@larpcityproject.com and we can discuss it further. Will you ever make one in a country apart from the U.S, such as Australia? It’s definitely possible in the future. Right now we are mainly focusing on the U.S., but we aren’t set on only being in the U.S.